Following The Beatles’ failed audition for Decca Records, Brian Epstein asked for the tape, since Decca would have no use for it without the artists being signed to a contract. He was given a copy of the audition on two ten-inch reels. Between them, these contained the fifteen tracks recorded by The Beatles on 1st January 1962. Epstein hawked these around London, eventually landing The Beatles a recording contract with Parlophone Records. In the years since then, Epstein’s copy has gone missing. When Apple were compiling the Anthology albums in the mid 1990’s, they had to ask collectors for copies of the audition from bootlegs. 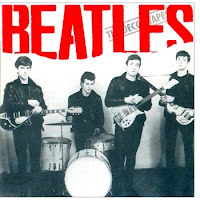 Around 11th April 1962, The Beatles gave a tape containing eight of the tracks to Astrid Kirchherr, their friend from Hamburg, and who was also the fiancé of former Beatles’ bass player, Stuart Sutcliffe. The tape was probably intended for Sutcliffe, who, unknown to The Beatles, had died of a brain haemorrhage the previous day. Kirchherr gave the tape to a friend of hers a year later. did include an extended version of Love of the Loved. 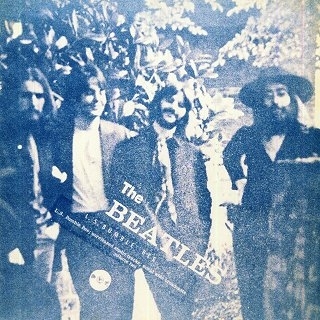 The first time a recording from Decca audition surfaced was in 1973, when the album L.S. Bumblebee was released. This included an extended but poor quality version of Love of the Loved. At the time, this was thought to be a demo version of the song made for Cilla Black, who had released the song as her debut single in September 1963. 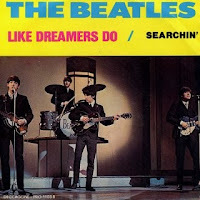 It was not until the remaining Decca tracks appeared a few years later that it became clear that this was the Decca version. Where the bootleggers got their copy is not known, but the poor quality would suggest that Kirchherr's tape may have been the source. Records 1982 bootleg, Like Dreamers Do. The Decca master remained in their studio for at least a couple of years after the session, but Decca had no policy for holding onto audition recordings, so the original 2-track tape was probably re-used. 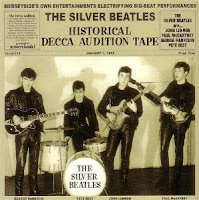 Nevertheless, Mike Savage, the engineer who had recorded them made copies of the audition after the Beatles career took off, which he would play alongside the audition tape of Brian Poole and The Tremeloes, recorded the same day, to illustrate why The Tremeloes were signed and The Beatles were rejected. Decca tried to release the audition officially many years later, using Savage’s copy as a source, but was blocked from doing so by legal proceedings brought about by Apple. How the tapes came to be in the public domain is open to debate. One story goes that in late 1976 or early 1977, an unknown journalist from the UK approached Decca seeking permission to review the audition for a music paper feature. Surprisingly, Decca agreed to lend the tapes to the journalist. Before returning the tapes, the journalist arranged for a copy to be made. 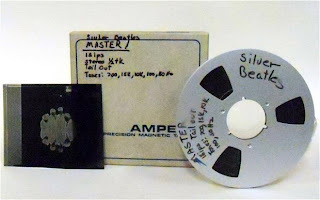 Another source suggests that one of Epstein’s assistants acquired Epstein’s two original ten-inch reels after his death. These were later sold on to collectors for an unknown sum of money. This would certainly explain why Apple does not have Epstein’s copy in their possession. Possibly both versions of the tale are true. What is known is that two copies of the Decca Tapes were sold to private collectors in the late seventies. One went to Joe Pope, who acquired the tape (given the timing, probably the version made surreptitiously by the journalist) for $5000. Pope ran the Beatles fanzine, Strawberry Fields Forever, from his store in Boston. He had the tape professionally mastered, then released fourteen of the tracks, omitting Take Good Care Of My Baby, as a series of seven 45rpm singles between April 1977 and February 1979 on his own Deccagone label. These were pressed on coloured vinyl and sold through his fanzine. The world finally had some idea of why Decca Records had turned The Beatles down. The entire audition, including Take Good Care Of My Baby, was subsequently released on an LP, The Decca Tapes, issued by Circuit Records in December 1979. This was sourced from the second copy – probably the Epstein tapes. Unfortunately, some of the tracks suffered from tape dropouts. Circuit chose to release the recordings in fake stereo and with the audio running too fast. Angry that Circuit had stolen his thunder, Pope immediately released his own LP, The Deccagones. This compiled the fourteen tracks he had previously released as singles, plus Take Good Care Of My Baby. The recordings have been issued many times in the years since, but all have been sourced either from Joe Pope’s Deccagone releases, or from Circuit Records The Decca Tapes. On 10 March 2009, Japanese label Misterclaudel released both the Deccagone and the Circuit versions on a CD named Historical Decca Audition Tape. Note:- Much of the information here has been collated from postings on this forum. Other sources are Bill Harry's The Ultimate Beatles Encyclopedia , John C.Winn's Way Beyond Compare , and Richie Unterberger's The Unreleased Beatles .